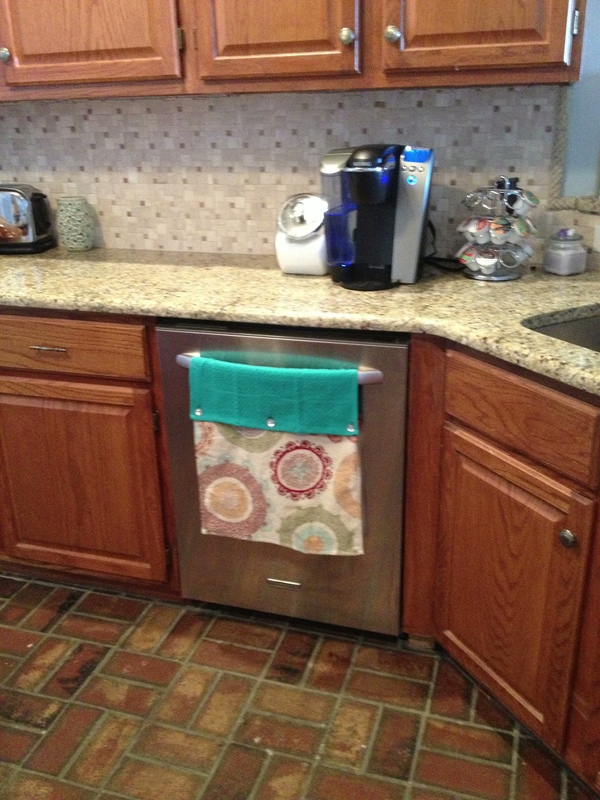 Towels are always walking off in my kitchen. They NEVER stay in place. And with two small children, we need to wash and dry our hands often! 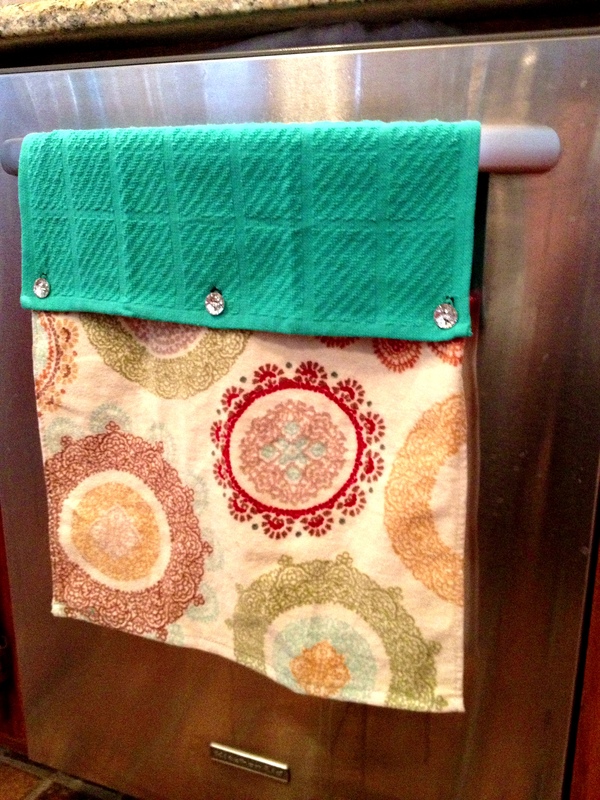 I ran across a blogpost that had a similar idea with a cup towel… just fold it over and add buttons. 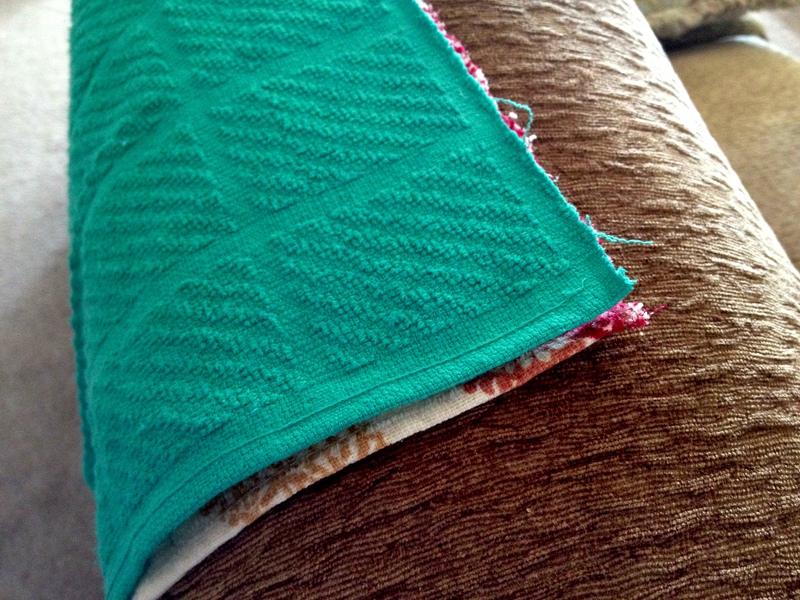 So, I bought two towels that were coordinating colors and cut them in half. 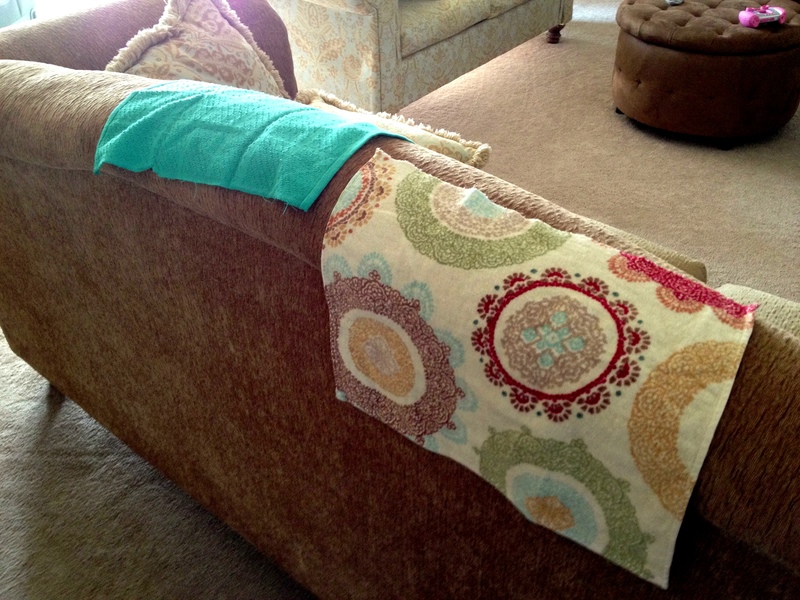 I then lined up the towels, being sure that the hem was facing as I wanted it to… both hems should be the same direction, with the raw edge of the towels together. This will be where you’ll be sewing. After sewing button holes and sewing on the buttons, I was THRILLED at the outcome. The entire project took about 30 minutes, and that was WITH juggling kids. So yeah. Needless to say, I’ll be making 9 billion of these now.